In this first one I later added the sentiment "you're tearific". 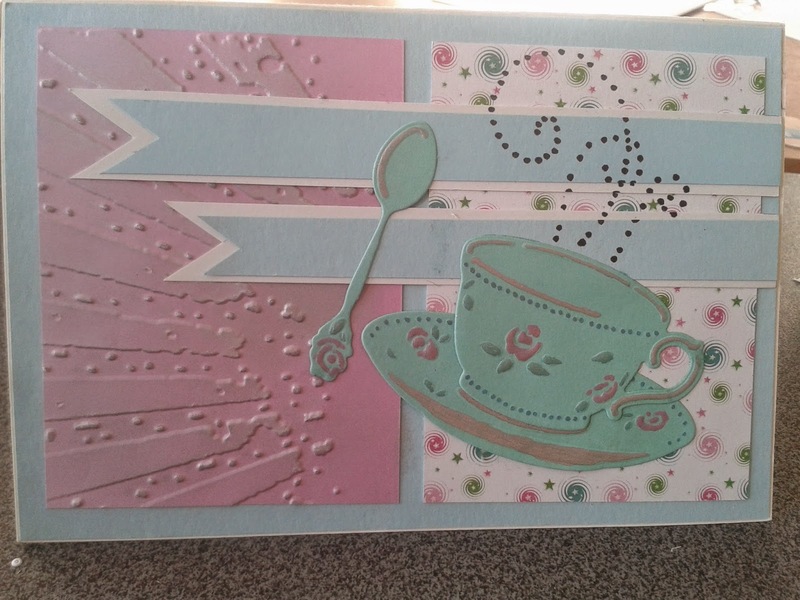 I like the soft pastel colours together and I really wanted to use the Sizzix Sun ray embossing folder again. In this second one, I used lots of Marianne Design products, namely the craftables CR1239 for the circle and the collectables COL1324 for the banner and sentiment. 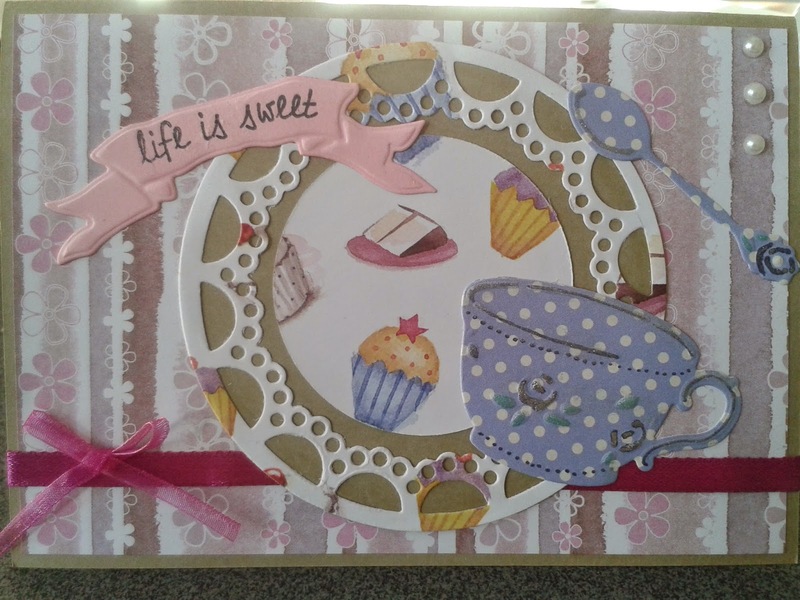 The design paper is by Forever Friends (both the cupcakes and the flower background) and then I finished it off with some pearls and pink ribbon. 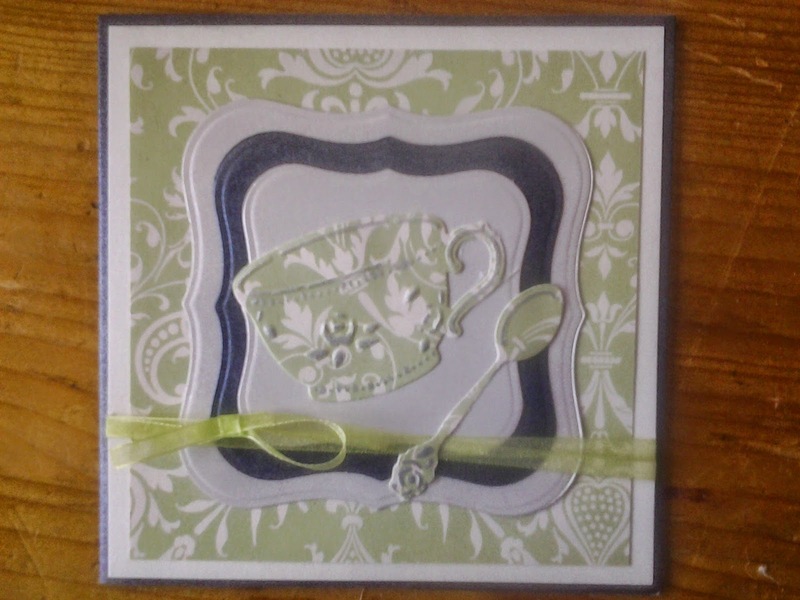 This one was also fun to make, lots of layers made with the spellbinders frames I believe. Hope you liked it and check ya later!